Lloyd George said of Balfour that he was ‘not a man but a mannerism’. Other contemporaries, like F. E. Smith and Winston Churchill, said of him that his was the finest intellect which had devoted itself to politics in their time; but Balfour’s career suggests that of all the qualities necessary for success in politics, intellect is one of the less important ones. Despite F. E.’s verdict, Balfour’s intellect was not quite as penetrating as he liked to pretend, and he possessed in reality the sort of cleverness which impresses dons (and thus, by extension, later historians). 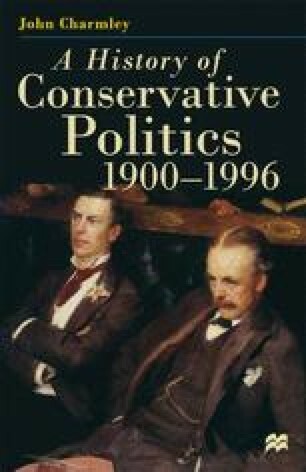 It was once said that Franklin D. Roosevelt possessed a ‘second class intellect with a first class temperament’; we might modify this in Balfour’s case and conclude that he possessed Cambridge cleverness with a second-class temperament. It is usual, when considering his career, to contrast the initial verdicts that he was a lightweight figure — known to some as ‘Pretty Fanny’ — with the sternness he showed as Secretary for Ireland, where he earned the sobriquet ‘Bloody Balfour’, but taking his career as a whole, it is by no means clear that the first opinions were wrong.